Mirèze Philippe, Special Counsel at the Secretariat of ICC the International Court of Arbitration in Paris, speaks about the key themes of the upcoming Paris GPC event, including the needs of users, diversity in practice and the future of dispute resolution. Why did you specialise in dispute resolution? I landed in arbitration without having specifically sought this specialisation. My generation of lawyers was not trained in arbitration because no specific training or LLMs existed in the 1980s and we learned arbitration by practicing it. I started in 1984 at the International Chamber of Commerce in the German team administering arbitration cases because I speak German, and since then I have been building my experience in dispute resolution. The area I have been focusing on since 2000 is online dispute resolution which is fascinating as it offers many facilities of access to justice and is truly the future of dispute resolution. I think that providers are increasingly trying to be attentive to the needs of the users, and the GPC Series is particularly trying to promote a dialogue with all stakeholders, learn about their needs and try to respond to such needs by being innovative. I believe that providers now understand that the services they used to offer in the past is no longer sufficiently satisfactory for the users, and that new services should be offered to respond to the needs of the market and the concern of the users. For instance, most of the major dispute resolution organisations now offer services for emergency arbitrations and for small claims. I believe a wide range of dispute resolution processes is now available but I would not say that it is “the full range”, because providers will certainly offer more in the future to respond to the needs of the market. Considering the multitude of methods available to them, users may not be sufficiently aware of all services offered by the providers. It might be useful to organise short panels to focus on the multiplicity of methods and their potential combination. In what ways do you think the dispute resolution processes are likely to change in the future? Two important services are missing in my view. First, a facility which I consider very important and that only a handful of providers offer is online dispute resolution. I have been militating since year 2000 to raise awareness about the use of such facility but it has been so far very hard to convince the professionals and the users about the benefits of using platforms to file and conduct disputes online. Using technology to offer access to justice online will be the subject of a two-day conference in Paris in June 2017 entitled Equal Access to Information & Justice Online Dispute Resolution. This issue will also be discussed on one of the panels I will be chairing at the GPC Paris. The GPC organisers have understood the importance of addressing these issues when looking at the future of dispute resolution; the subject was also raised at previous GPC conferences which have so far been organised around the world. I am confident that the GPC forum will be ideal to address this concern. The second need that dispute resolution stakeholders need to address is the resolution of consumer disputes. There is a huge market of small cases which are currently being only addressed by some online merchants and very few online dispute resolution providers. I admit that this is not an interesting market for the lawyers but it certainly is for providers. Consumers often face a denial of justice because they have no accessible means to have their claims settled mainly in cross-border disputes, and online settlement of disputes is ideal for such disputes. Domain names disputes are exclusively handled online, consumer disputes should likewise be settled online. In an article just published in the Revue Pratique de la Prospective et de l’Innovation, I wrote that we walked on the moon but justice is not yet online! This is an unfortunate reality that I truly hope we will be able to overcome in the near future, as this is the future and it is not science-fiction. What are you hoping to achieve through the Paris GPC? I am hoping that both needs raised above, online dispute resolution and consumer disputes be discussed and taken seriously. Both issues are absent on the French market. There is one interesting initiative which may respond to some needs and which will be discussed at the GPC, it is the e-Justinitiative. Regarding the need for more data, I think that is now available through the initiative of the Dispute Resolution Data (DRD), which received an award at the GAR Awards in Milan end March 2017. DRD collects data via contributing institutions and then separates the data into 28 different international commercial case types and aggregates the data among seven geographic regions; further information may be found on its website. Are issues of diversity being effectively addressed in the dispute resolution community? The work done by ArbitralWomen and the Equal Representation in Arbitration Pledge , the conferences discussing diversity organised around the world, and all the various initiatives including transparency about numbers, have been successful in raising awareness about levelling the playing field. So, such initiatives must continue until we see more change. However, we should not fall into the trap of regulating too much or imposing quotas or otherwise, because this would be counter-productive. The issue is not only about reaching equality in numbers, it is rather about offering equal opportunities to equally qualified women and nominating such qualified women in order to get to an equal representation. Let us rather capitalise on this momentum where practitioners have understood that the under-representation of women is unfair, not justified, can no longer be acceptable, and that things must change. As we know, offering equal opportunities to female practitioners in all areas has always been a concern and not only in the arbitration community. Biases are engrained in every human being. Old traditions of women at home and men being the family revenue earning are no longer true, but the society has not yet understood that female practitioners are competent and talented and that these qualities are not attributable to men only. So bias affects women in the workplace, the best way to overcome bias and discrimination is to address these issues and to continue campaigning against unfair treatment – which is detrimental to the entire society because talents are being wasted. With respect to the dispute resolution environment, all stakeholders can and must act to level the playing field, and it is each one’s responsibility to contribute to the change, the users, their representatives, the arbitrators and the organisations. Together we can get to better results. What advice would you give to young disputes professionals? The same as many of us keep promoting at all events involving women and young dispute professionals, i.e. be pro-active and visible. It is particularly difficult for female practitioners to speak up and promote themselves, men do it more naturally and we must learn from them. In general, young practitioners including female practitioners must join young practitioners groups (which are nowadays numerous), publish in various publications and online newsletters and blogs, participate in dispute resolution events, try to get speaking slots, participate to working groups, take part in training programmes – such the ones which are now being offered on administrative secretaries’ tasks, have their profile available online, and seize every opportunity to get exposure. I always like to conclude on a positive note because I have seen a tremendous change in the last 30 years, although progress has been extremely slow. There remain lots of efforts to make to attain a certain level of equality, but I am confident and positive that the change and the progress will continue. First, ArbitralWomen has succeeded to break the ice, and second, taboos about female practitioners in the dispute resolution field have now been lifted thanks to discussions about biases. Statistics which are being published this year and that I will soon also publish about ICC numbers, demonstrate that progress is being achieved slowly but surely . Mirèze Philippe joined the ICC in 1984, she is a French lawyer of French and Lebanese origin. 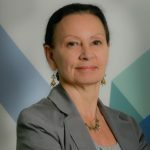 She is founding co-president of ArbitralWomen, member of the Steering Committee of the Equal Representation in Arbitration Pledge, member of the Board of Advisors of Arbitrator Intelligence, member of the Advisory Board of Association Arbitri, fellow of the National Center for Technology and Dispute Resolution and founder of the ICC Court’s Secretariat Amicale.